The new year is now in full swing and for many that means it’s event planning time. And for a new Chair and their volunteer team, taking the reins of an event can be an exciting but daunting task, especially if you’ve inherited a long and antiquated “to-do” list. So before you get bogged down in the multitude of planning details, step back and consider whether it’s time for a new normal for your events. Take a good, honest look and ask yourself: could your event use a makeover? As we noted in a post a while back, sometimes maintaining tradition is a good thing. But if you’re looking for new ways to build excitement with former registrants and entice new ones to participate, "same-old-same-old" may not cut it. While your events may not need a wholesale "makeover", you might want to think about ways in which you can use new technology and social media to bring your event offerings up-to-date. 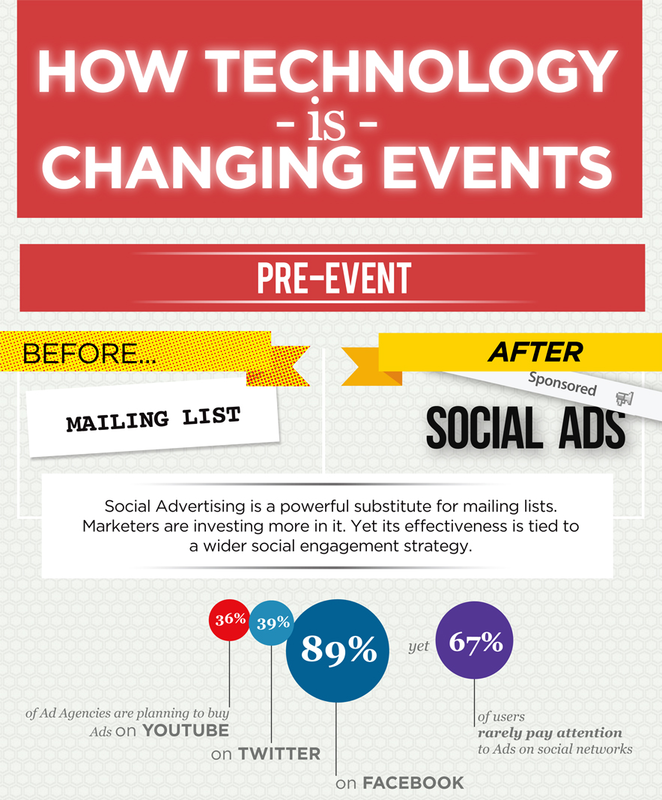 Julius Solaris (Event Manager blog) suggests that “technology and Social Media are deeply changing the way we market, consume and measure events,” and he created an infographic to illustrate “How technology is changing events”. The infographic outlines “practices that are no longer relevant to events and alternatives we can use.” It offers “before and after” scenarios as well as research to support changing event tactics. Small organizations that are unfamiliar with social media may not be ready to promote events solely via social media. But it might be time to consider email event notification in addition to the traditional snail mail option. If your organization is using an association or membership management system, you should be able to easily create automated event emails as well as online registration. We used to print and mail brochures, but now participants should be able to get the information they need online. Solaris notes that "Responsive Websites deliver a coherent experience to prospective attendees regardless of the screen size or device used." So instead of your usual brochure sent in the mail, you can move your event promotion online. Not only does this save paper, but it offers direct access to online registration too. Posting regularly on your Facebook page - e.g., posting about high profile speakers; early bird announcements; etc. - with links to your event page, forum, blog, etc. 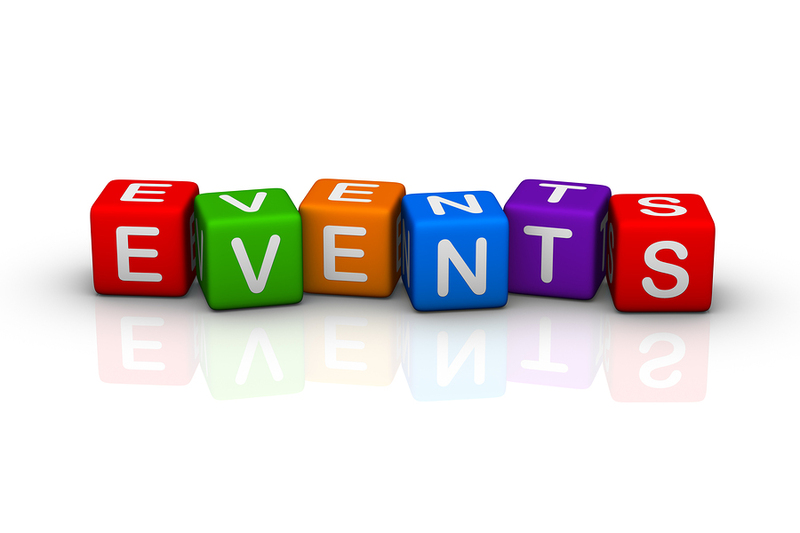 Tweeting regularly and linking to your event page, forum, blog, etc. While your organization may not be ready to “livestream” yet, you might want to check out technology that can enable those folks who can’t attend in person to participate or to access some or all of your event content virtually online. At the very least, you can consider posting video of key speakers on YouTube or offering presentations via Slideshare. If you usually hand out or mail out hard-copy feedback forms after your events, you can consider conducting a Facebook poll or asking participants to take an on online survey via a post-event email. And if you’ve been active on and monitoring social media before, during and after the event, you can capture a lot of feedback as well. So if this year you want to breathe new life into an annual event, take a look at the additional blog posts and resources below, and check out the full “How technology is changing events” infographic for more suggestions on how you can use technology and social media to shake up your events.